Brushing and flossing is an important part of your everyday oral health routine. But what people don’t know is that they should also make sure they are incorporating fluoride into their routine as well. Flouride is a mineral found mostly in water and it’s known for helping protect your teeth. It’s proven that fluoride helps prevent cavities and early signs of tooth decay in both children and adults. Flouride is found naturally and because of the health benefits, it’s added to many foods, public water supplies, and dental care products. Bacteria and acids from foods and drinks will slowly start the process of tooth decay, but fluoride will help strengthen the enamel on your teeth which protects your teeth. Fluoride can even reverse the start of a small cavity. Fluoride can help in a few ways. It can be absorbed right into each tooth and replenishes any lost calcium or phosphorous that keeps the teeth strong. When a child eats or drinks small traces of it, it gets absorbed into their bloodstream and then becomes part of their permanent teeth as they develop. If you swallow fluoride then it helps to strengthen teeth from the outside. 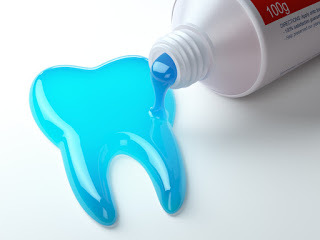 If you use a toothpaste with fluoride in it or use a fluoride rinse then you are helping your teeth with remineralization and also helps stop the production of acids by bacteria. One of the easiest ways to make sure you are getting enough fluoride is to brush your teeth twice a day with a fluoridated toothpaste. As you brush your teeth, make sure you get each tooth and each side and along your gums. You should also make sure that you are getting a regular dental checkup every six months. Your dentist will be able to get all the build-up of plaque and bacteria off your teeth. A dentist can also give you a concentrated fluoride treatment. If you have questions about fluoride or want to come in for your regular dental checkup to make sure your teeth are strong and healthy contact us at or on our website. We want to help you get your teeth as healthy as they can be. Come into South Boston Family Dental today!